2011 made a Grand entrance in the Middle East, witnessing what has been happening in the region lead the youth to take control of their lives and set their priorities straight. They are motivated more than ever to express their thoughts and embrace the power in order to call for freedom and a better living. 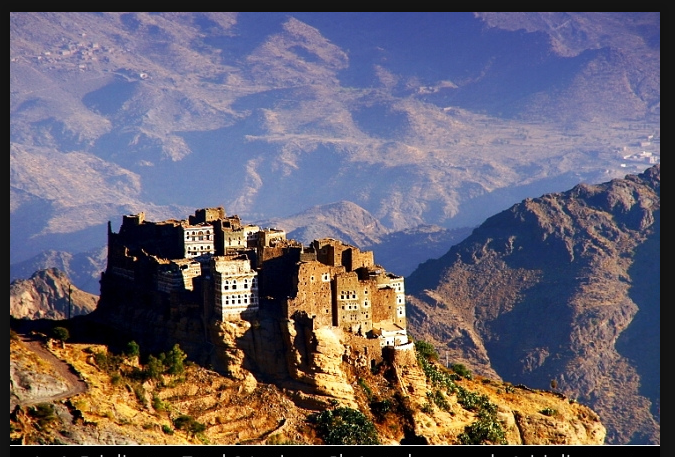 Yemen is a BEAUTIFUL, GORGEOUS, HEAVILNLY, and RICH country. Yes almost 50% of the population earns less than 2$ a day, and Yes it has been labeled as one of the poorest countries in the world, but don’t be fooled. Yemen is RICH, rich in culture, natural beauty, and the kindness of its people. It’s versatile typography, which includes magnificent mountains; beautiful turquoise coasts, highlands, and stunning islands enable it to become the ultimate “Tourism” hub and not a “Terrorism Hub” as it has been portrayed in international media. Yes Yemen is known for the wide spread of weapons, it is ranked to be the second highest rate of gun ownership after the US, and the people have five times more small arms than their own governments. However it made the biggest statement when demonstrators left their weapons at home and insisted on maintaining a peaceful demonstration despite government attacks. If you have ever seen a Yemeni smiling and wondered why he had green teeth…know that he has been chewing Qat. Qat is the plant that runs in the veins of most Yemenis. It can be described as the Yemeni alternative to coffee as it acts like a stimulant and is reported to cause attentiveness, and loss of appetite. The first thing you notice about a person having Qat is the balloon in the side of the mouth. Qatters (people who chew Qat) pluck the leaves from the plant, put them in their mouths, but do not swallow them. They store them inside their mouths between their teeth and cheeks. It has become a trend in ladies’ circles; they hold weekly gatherings with friends in addition to joining their husbands during weekends. 12th of January is being marked as the NO Qat Day, can Qatters handle one day without buying, selling or even chewing Qat? From the amount of responses of Yemenis on social networks such as Facebook and Twitter the answer is Yes! Qatters are willing to sacrifice a whole day to make a stand, even though most of them are not willing to quit, but taking part of this day is a very encouraging initiative. One day might not seem as the ultimate solution to the Qat problem, but it’s a baby step towards a Qat Free Yemen. The way it has been engraved in the culture, decreasing Qat consumption will take an enormous amount of time and effort, but the change needs to be made gradually. Logically speaking Qat might never be stopped completely, but let’s get our priorities straight; first food, and water and the pleasure of chewing Qat can come later. When 70% of the population is under the age of 30, and unemployment rate is extremely high you start questioning what is Qat doing for the country. When a father would rather spend money to buy Qat instead of getting milk for the baby you start questioning what Qat is doing to the future of children. When they don’t have money to eat or pay the bills, but will do the impossible to get their daily Qat you start questioning and questioning and questioning. Qat is not that addictive by assembly but is extremely addictive by habit. According to the World Health Organization (WHO) Qat is not considered to be seriously addictive and its psychological dependence is less than tobacco or alcohol. Despite this it is considered a drug and is illegal in almost every country in the world. If a person stops Qat for a day, a week, or even month nothing will happen to him. It’s the fact that it is available and is prioritized that makes it desirable. Qat is also considered one of the main reasons for developing oral cancer (mouth, throat, tongue), increased risk of cardiovascular events, and many other symptoms. Qat is so popular that it drains most of Yemen’s agricultural resources. It is estimated that Qat consumes 800 million cubic meters of water a year, for 25 thousand tons. Fields, and water resources are used to grow Qat instead of growing fruits and vegetables. Qat is grown to by Yemenis not only to harm Yemeni bodies, but it’s also hurting our economy, and our potential advantage of exporting. When I hear comments such as “Qat is the reason for Yemen being backward” I can’t help but think that yes it might be a significant factor but we can’t blame every failure in our country on a plant. If Qat was to be blamed then we would have blamed the pen for failing an exam, or the car for taking a wrong turn. Let’s just not forget that we have the choice, and it’s all in our hands. Yemenis have made a choice of making the 12th of January a Qat free day and With 24 hours left for the No Qat day, I say Thank you to the people who started this campaign and a huge applause to all those taking part of it. This entry was posted in Twitter, Yemen and tagged Campaign, oral cancer, Qat, weapons, yemen by sousalz. Bookmark the permalink.